Speaking between worship songs. Speaking between EVERY worship song especially. This rant I have kept bottled up for a while. I’m not going to post it anywhere else because I don’t want to hurt anyone’s feelings or cause any issues. But since only readers of my blog see this and because I’d like to hear feedback, I decided to leave my rant here. The church we attend is a non-denominational church with biblical preaching and modern worship. I enjoy the few people there that I’ve gotten to know. It’s not my usual church in the genre of IHOP-KC or Bethel in that it lacks the freedom and vulnerability that I feel comes from being more spirit-led. But it is a compromise for my husband and I. The worship leaders voice is like an angel, and she truly seems like a sweet person. 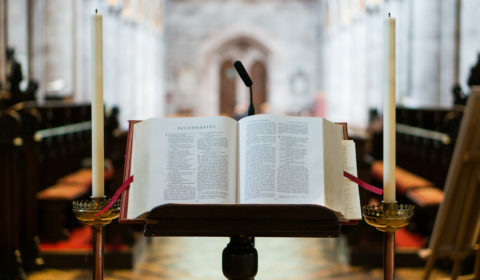 The pastor’s sermons are well-organized and delivered with skill. He is charismatic and sincere. The last year or so though, something has been really getting to me. I enjoy corporate worship. There’s a power that comes when His people gather and worship as one. At IHOP-KC worship might be an hour long as you might expect from a 24-7 prayer room church. When I left that church, I had to get used to the fact that worship would be a 3-song maximum. It was hardly enough time for my mind to engage with heaven. 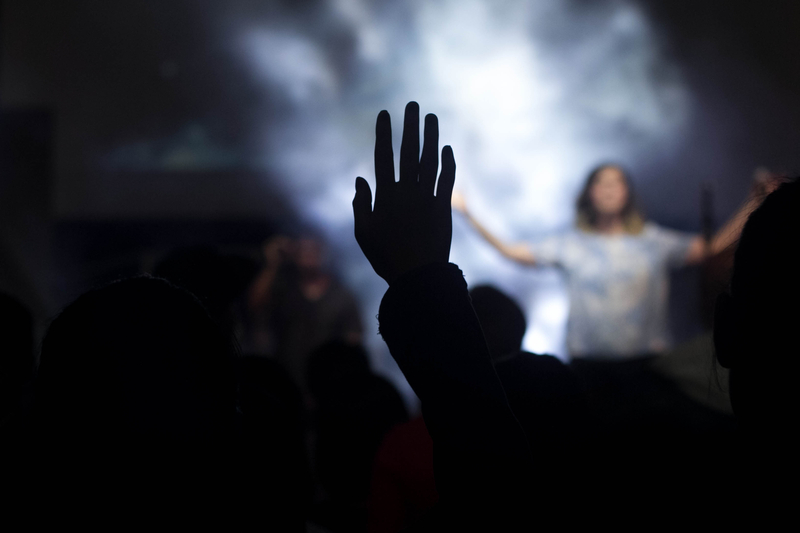 I realize worship shouldn’t be all about MY experience. It should be about Him. But here’s the thing, I know He enjoys me feeling pleasure from connecting with him. I know it is what He paid for. It’s His reward. Part of the “joy set before him” and the reason He endured the cross was so that His bride could connect in a powerful way to Him and feel the intimacy and pleasure of heavenly engagement. To be with him where he is…that was His prayer. So, somehow I got past the 3-song maximum, but then something started happening at my church. I guess it must happen at a lot of other churches. The worship leader started talking between songs and not just once. Between EVERY SONG. 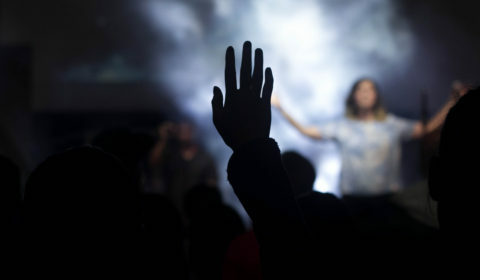 The first song, I would begin to worship and my mind would be focused on heaven, I would begin to engage with the Lord, to hear from him, to envision Jesus, God’s throne, and heaven. And then… the song would end and the worship leader would give her mini-sermon. Then the second song, but then the same thing would happen. It’s gotten so frustrating that I usually just sit and try to pray and talk to God throughout worship. At least it is a time of prayer uninterrupted by my little ones and with some pretty background music. But over the past year, I have begun to miss the corporate worship experience. Also, as an observer in the church audience, I see most of the other members giving signs that they are going through the same thing. You see towards the end of the first worship song, their hands raised, faces looking upward, eyes closed, emoting vulnerable connection, and then… hands go down, faces look down from heaven to the worship leader talking, eyes pry back open to focus instead on what SHE’S saying, connection seems to be broken. Some of them try to re-engage during the next song, but many of them instead just stand there. Some even get out their phones, sit down, shuffle through their purses. The thing that bothers me is: what was God speaking to them during that first song? The worship leader seems to want to redirect them to the scripture God has put on her heart or the thought that He was speaking to her. But what if the Holy Spirit was ministering intimate revelations about himself that THAT PERSON needed to hear? And instead you interjected something completely different. Does the church leadership not trust that the Holy Spirit can interact with the children of God and that His children can be led by Him without their help between EVERY song? That’s what it feels like to me. There is a lack of submission to the leading of the Holy Spirit. There is a fear of the release of control to Him and what that would mean to their organization and structure of the service. Because I’ve been able to adapt to the short worship sets…sometimes that first song I was caught up in the most amazing, powerful vision. The worship leader would pull me back down from the arms of God back to whatever she was saying. And that got super-upsetting after a couple of times. A while back I did confide in one close friend I had there at the church, and that person said it bothered him/her too- a lot. So I went straight to one of the sources. I talked to one of the worship leaders also that said he/she didn’t like to do it, but it was requested that they speak between songs by someone in leadership. This last point is probably why it bothers me the most. I mean if a worship leader is being led by the Spirit to speak on something between a song… first of all it’s probably not going to be a prompting that has them speaking between EVERY worship song. And secondly, it will add to the worship experience, not take away. But based on what this worship leader told me, this means the prompting to give speeches between every song is not from the Holy Spirit but church leadership. I’m also wondering if this happens in other churches too where one of the church pastors requires the worship leaders to give messages breaking up a worship set. This isn’t that big a deal. I mean it’s one hour a week. Not much in the scope of our entire walk with the Lord. Most people may not even notice or care. Does corporate worship play a vital role in God’s kingdom strategy and His individual relationships with us? Isn’t powerful corporate worship part of his inheritance that he died and paid for on the Cross? So that inheritance being marred in some way could have me feeling a little righteous annoyance or …Maybe it’s because I’m ADD or maybe it’s because of my church denomination background. I truly miss the power that unbroken corporate worship gives to my walk with the Lord. I miss the revelations, visions, and intimacy that I used to experience with God during those times, but I’m just not sure what to do. Worship is one of my greatest growth tools in my walk with God. We all have different ways we connect. This is mine. (But then it’s also others’ too.) I don’t want to leave a church over something like this, but I also hate leaving church the same or more dry than when I came in because a worship leader is following orders he/she doesn’t much care for. So…Would you say anything, change churches, or just go on praying that one day it would change? Are we supposed to say anything? I mean… if each one of us is the church? And if church is supposed to be “family”, wouldn’t you say something to your family? Does this upset or frustrate anyone else or are the worship leader talks between songs helpful to you? Does this happen at other churches? Is this just a normal thing at most churches to speak, pray, or hear verses for 3 or 4 minutes between songs? I don’t want to ask feedback from others at my church because if it isn’t a problem, I don’t want to stir up an offense. This bothers me a great deal too! I love connecting with God in corporate worship, not taking the place of personal worship but it is a wonderful feeling to be in fellowship with others in worship knowing we are all communicating with the Father. I totally understand about not wanting to church due to concerns we have. I had to get to a place where I understand the politics of some churches and ask myself “Is there a church on this earth that will give everything I desire?” The answer to that is No! So I try not to consume myself with the voices around me and try to stay totally fixed on my experience alone. I hope things have gotten better for you. So right! I try to stay where I’m at and not be a consumer church goer. That church ended up changing locations and we are at an another awesome church now.